Abs Before or After Your Workouts? A question I often hear when it comes to training your abs is this: should I train abs before or after a workout? For one, I didn’t want to tire out my core before the bulk of my workout had even started. Nearly every exercise you do involves using your core in some way. So why would I want such a crucial part of my body to be tired before moving into the big exercises such as deadlifts, squats, presses, pulls, etc? I wanted to be fresh and have the most energy for this part of the workout. Next, abs are never the focal point of my workout. I love a great ab workout as much as the next person, but I also realize that doing 25 straight minutes of abs isn’t going to get me leaner and stronger like squats, pull-ups, or push-ups will (these are just a few examples). Working out your core is important, but it should never be your focus. To build a ripped set of six-pack abs, there is a lot more that goes into it than just doing thousands of crunches. Things like nutrition, sprints, weight training, intervals, and walking will get you there far faster than just doing a bunch of ab workouts. I want to be 100% energized for the bulk of my workout. But what about abs before a workout? It wasn’t until recently that I started experimenting with working out my abs before my workouts. And this actually happened by accident. After I finished training my clients for the day, I was supposed to get my own workout in. Legs was on the calendar for that day, but my motivation was at an all time low. The last thing I felt like doing was squatting and deadlifting. So instead of lifting legs that day, I told myself I was just going to do some ab work and head home. As I finished my 9-minute ab routine, something within me switched. All of a sudden I was motivated to lift. I don’t know if it was the feeling of my abs being strong and tight or that I had just gotten my body warmed up. Needless to say, I got an incredible leg workout in all while doing my ab workout before my lifting routine. When I got home that night, I started doing some research and came across the workout plan that Ryan Reynolds does before his superhero movie roles (Blade, Green Lantern, X-Men). To my surprise (or maybe not so much after my workout), it stated that Reynolds always started his workouts with abs. He said this is what got him motivated for the rest of his workout. I can definitely agree with him there. So what the final verdict: Abs before or after workouts? As you can see, success can come whether you train your abs before or after a workout. The key is consistency. Consistently workout your abs and core 2-4 days per week, and results will follow. In a 2007 study, participants that performed heavy squats after doing their ab exercises first performed with much less weight than if they didn’t train abs before. With that said, tiring out your core before your actual training session can definitely have an effect on the amount of weight you will be able to lift. Therefore, if you know you will be going through a tough workout you may want to save your abs for last so you can go at your lifts with full strength and energy. If you do decide to train abs beforehand, just make sure you can still complete all your weight training exercises safely. With your core being tired, you may be more likely to break form and possibly get hurt. In the end, whether you choose to do your ab workouts first or last is up to you. Ab workouts can only get you so far when it comes to getting six-pack abs. 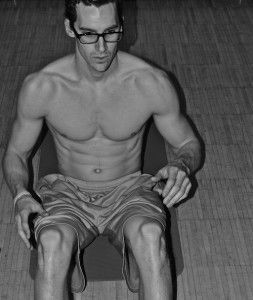 As I have said before, abs should be an “afterthought” to your strength training workouts. And remember, if you really want those abs to start showing, it starts with your nutrition. If you need help on where to start nutritionally, be sure to check out a few of the articles found HERE! Questions or Comments? Please leave your feedback below! P.S. Don’t forget to ‘Like’ and Tweet this article if you found it helpful!